New agent alert: Kieryn Ziegler of Dystel, Goodrich & Bourget is looking for YA & MG. In fiction, she especially loves books about exciting new worlds, found families, fantastic female characters, and stories with diverse POVs, and would love to see more LGBTQ+ characters in sci-fi and fantasy. Agent News: Bookends Literary Agency welcomes two agents, Naomi Davis and Amanda Jain. Naomi is seeking YA and MG.
Today we are excited to feature YA author Miriam McNamara and her highly anticipated debut novel, THE UNBINDING OF MARY READE (Sky Pony Press, June 18, 2018). Enter to win a copy (available after release). 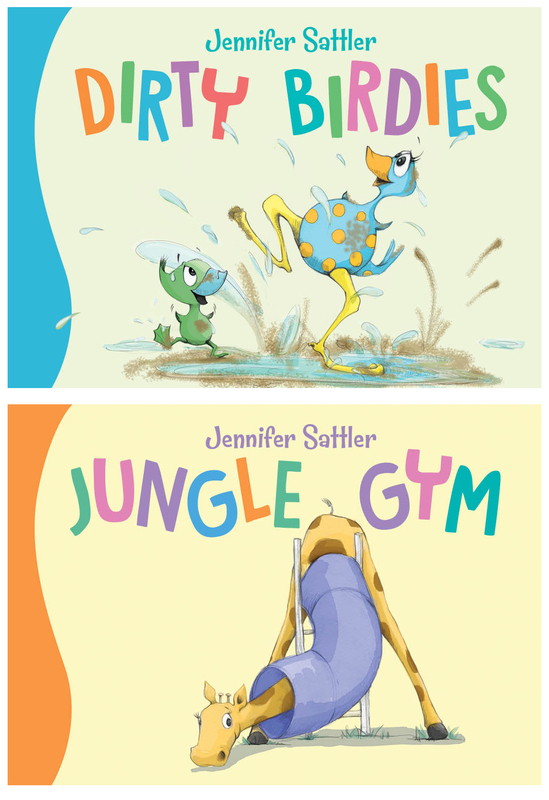 We are also part of the blog tour for picture book author-illustrator Jennifer Sattler and her new board book series, DIRTY BIRDIES and JUNGLE GYM (Sleeping Bear Press, Feb. 15, 2018). She is the author-illustrator of over a dozen books, including the CHICK 'N' PUG and PIG KAHUNA series. Enter to win a copy of the books, a tote bag, and original art. Join the Andrea Brown Literary Agency and the Rocky Mountain (Colorado/Wyoming) SCBWI's intensive writing workshop to prepare PB, MG, and YA manuscripts for publication. 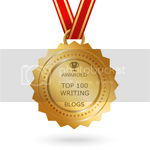 Work in small groups with Andrea Brown agents, published authors, and editors. Conference is sold out, but there is a limited wait list. There's still time to sign up for the 12x12 Picture Book Challenge. 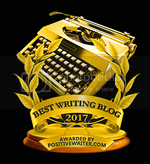 Write 12 picture book manuscripts in one year, join a great community of writers, get webinars, and more. Thank you, KidLit411 for all of your useful and relevant links--every week! Thank you for the giveaway opportunity! I have both winning books on my tbr. 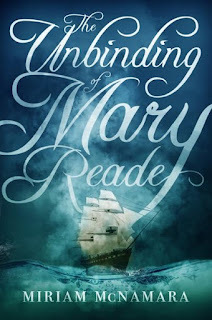 Also, I love the cover for The Unbinding of Mary Reade. I love these posts and can always count on you to give me book suggestions to add to my list. Thanks! Great links and information as always! Thanks for all the opportunities. Thanks for continuing to feature terrific authors and illustrators! And for alerting us to agency news! Thank you for the many resources and opportunities! LOVE the book giveaways! Congratulations to the Newberry and Caldecott winners! Your blog posts make my heart beat fast. Thank you for all your exciting useful posts! 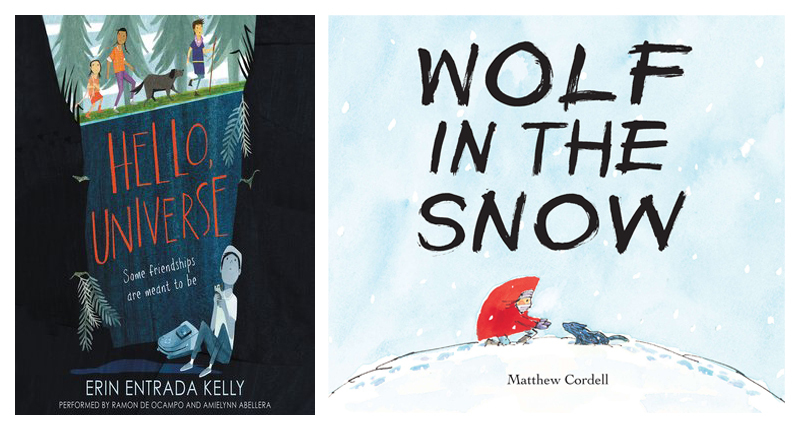 Congratulations to Erin & Matthew for their winning books! Thanks to the Kidlit411 team for all your work. I look forward to the 411 posts each week. Thank you for all of the hard work that goes into it each week! Congratulations to Erin Entrada Kelly and Matthew Cordell! I always read the award winners, so thank you for the chance to win my own copies. I always buy the Newbery books to keep. I look forward to finding news and other critique partners on the group. Thanks for reporting new information. Congratulations Erin Entrada Kely and Matthew Cordell! Can't wait to read both of your books! I love Wolf in The Snow! Yay! Congratulations to Erin and Matthew. I don't know Hello Universe but Wolf in the Snow is awesome. Oh, and Jennifer's board books look adorable! Thank you such great information! Love these giveaways - and always appreciate your updating of information for this site. Thank you.